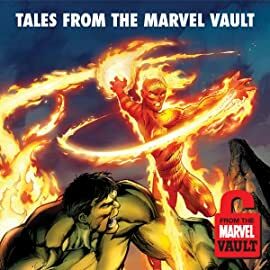 Collects From The Marvel Vault One-Shots: Dr. 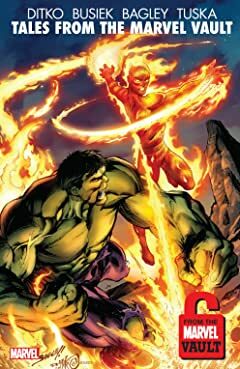 Strange, Incredible Hulk & Human Torch, Thunderbolts, Defenders And Gambit. Four masterpieces from deep inside the Marvel vaults! Dr. Strange learns what evil lurks within walls of his old Manhattan brownstone! Jack "Nomad" Monroe seeks revenge during the early days of the Thunderbolts! Gambit joins the Champions to take down M.O.D.O.K.! Mighty Marvel mainstay Steve Ditko delivers a Human Torch tale so taunt with tension and terror it couldn't be told until today! And the original Defenders - Dr. Strange, Hulk, Silver Surfer and Namor - come together again for a hidden adventure!